The Nigerian Social Media Summit #NSMS2018 focused on the business, educational and political sector has been unveiled in Nigeria today. The event slated to hold in Abuja on August 12-14, 2018 is being organised by MY EVENTS a Malaysian-Nigerian company with 10 years’ experience and expertise in events crafting with endorsement by the Nigerian government. 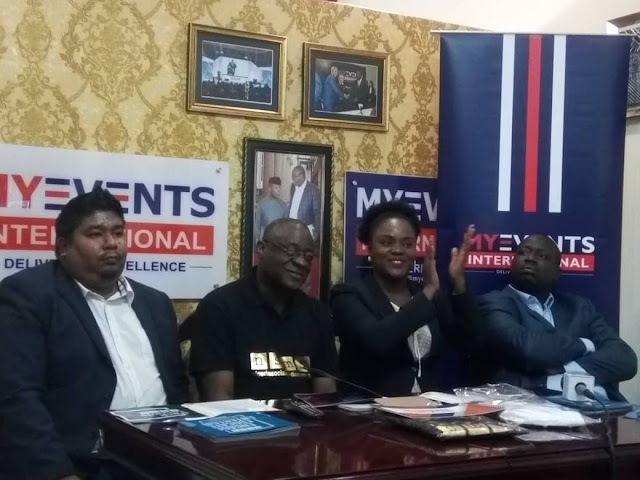 Speaking to news men and social media practitioners today in Abuja, the Chairman of MY EVENTS Ltd Mr. Miebaka Kenneth Adoki explained the idea of bringing this huge summit to Nigeria referring Nigeria as ripe for social media enterprises. In his words, “Nigeria deserves to host the summit considering that Social media is a cost effective industry that enhances visibility, and considering the total population and number of internet users that are ever increasing makes it a huge untapped sector for empowerment in Nigeria. There is also a huge opportunity for everyone to get on social media, and use social media effectively and actively even in the forthcoming elections”. The objectives of the summit include to improve social media skills for global competitiveness, achieve measurable PR awareness, build achievable people-centric missions and goals, establish trust and drive realistic end results, approach and address Gen-Y issues in a timely manner, infuse educational values, increase visibility and be reachable to the masses. Speaking at the press conference today were Daniel -My Event Malaysia, Mr. Miebaka K.Adoki -Chairman, My EVENT International, Jenny Chisom -Founder, Login Bloggers Africa and blogger JCB, as well as Mr. Paul Ella- Chairman, Nigerian Union Journalists (NUJ) FCT. Speakers are drawn from Social media experts across Dubai, Malaysia, India and the major continents of the world and will handle the summit and the hands-on workshop sessions.